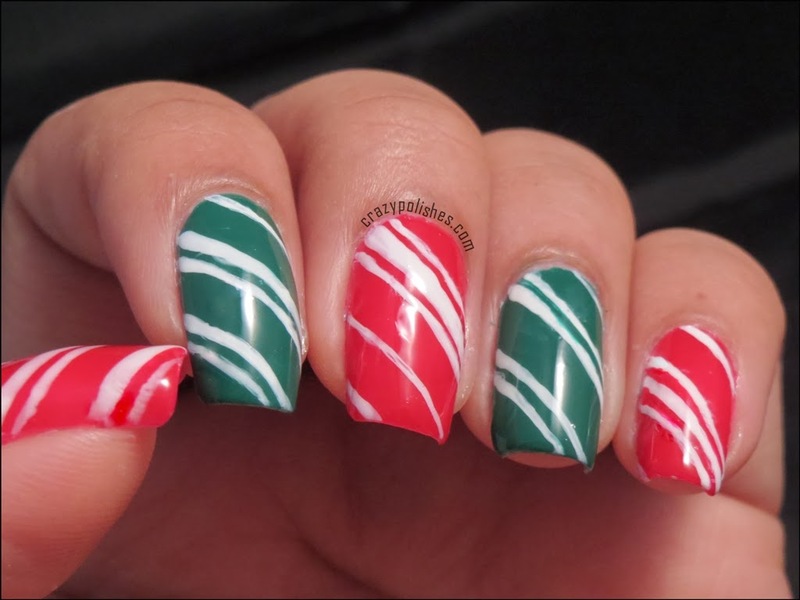 I decided to dedicate this week to Christmas Manicures. 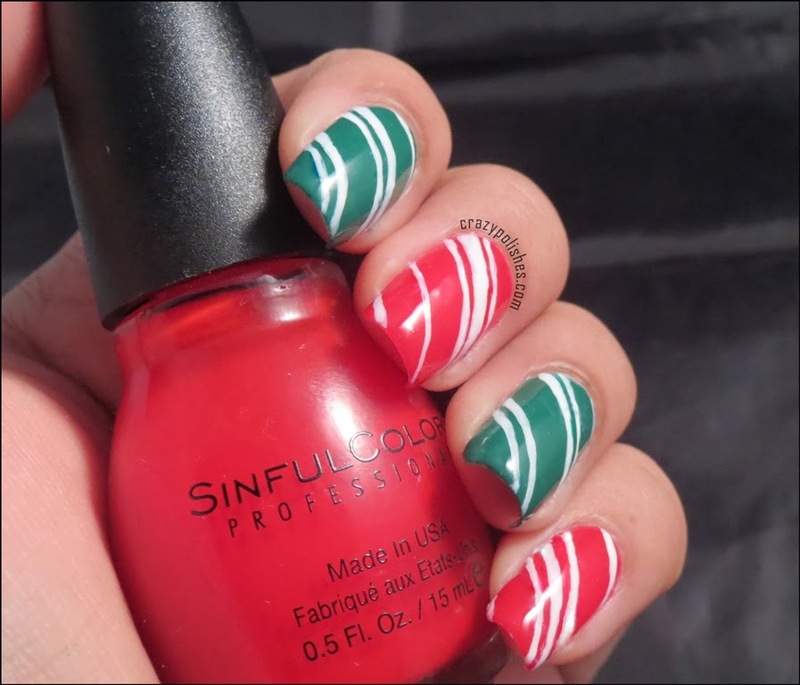 I am gonna post seven manicures daily this week. Some of my friends from ILL are also decided to take part in this challenge. 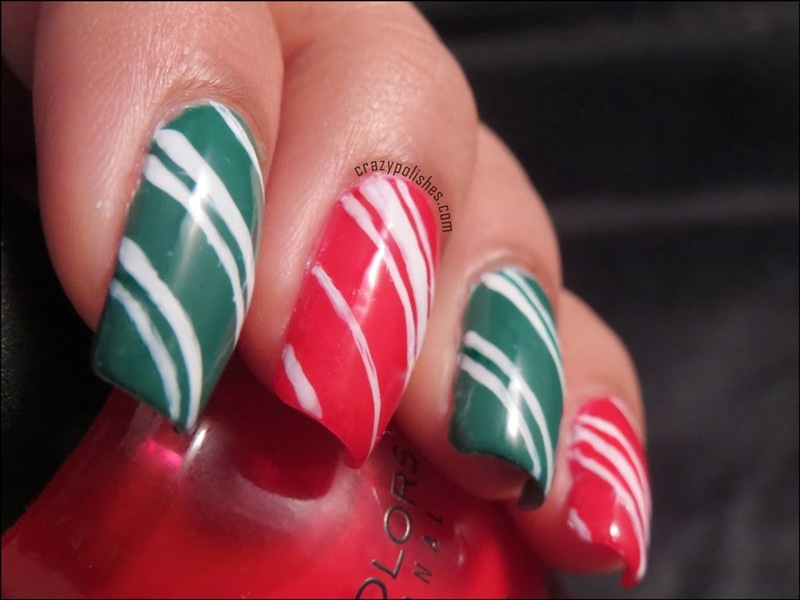 Today's ILL Nail Challenge theme is also "Christmas" so this manicure will be great for both of the challenges. I did a simple freehand candy canes manicure for today. 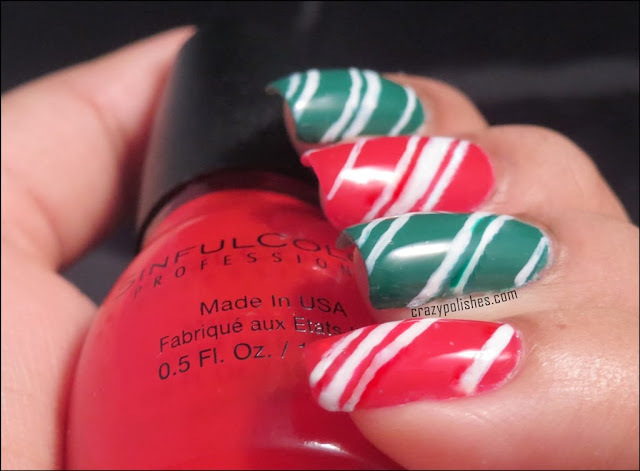 white stripes free handed with white acrylic paint. 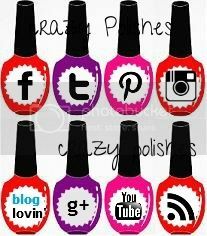 If you wanna see other manicures from this challenge then please check Pinterest Board.